A story about the bravery and tenacity of the Polish military that does not get told. 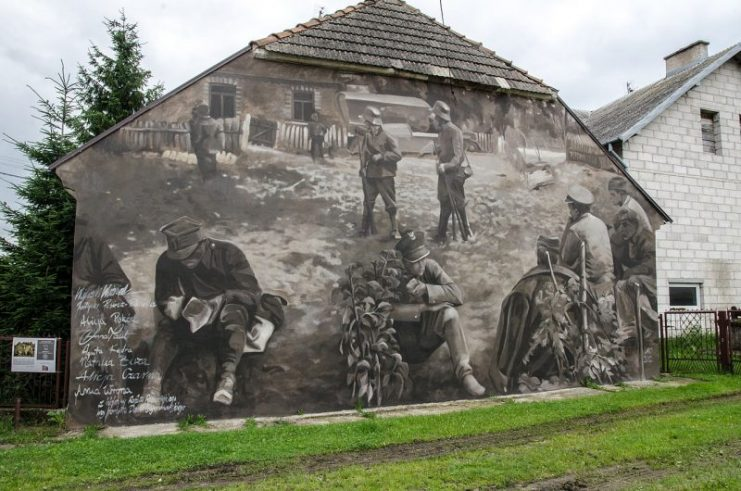 During the German invasion of Poland at the beginning of World War II, 720 Polish soldiers manned the fortified line of defense near the village of Wizna for three days against 42,200 German soldiers and 350 tanks. For the Polish armed forces, fortifications around the village of Wizna were a key point in the defense system on the northern border. They were near the intersection of the Narew and Biebrza rivers, and were intended to defend the areas where the rivers could be crossed. The 5.5 mile (9 km) line of defenses along the high riverbanks passed between the villages of Kołodzieje and Grądy-Woniecko, with Wizna in the center. In addition, the most important road, Łomża–Białystok, passed through Wizna. However, this defensive line was poorly fortified. If broken, an enemy would have access northwards to Warsaw.The construction of the main fortifications began only in April 1939. By September 1, the Poles had built six heavy bunkers with reinforced concrete domes weighing 8 tons each, two lightweight concrete bunkers, and eight machine gun pillboxes protected by sandbags or earthworks. Four more bunkers were still in the construction stage when the war began. The average thickness of the bunker walls was nearly 5 feet (1.5 meters). They were also protected by steel plates nearly 8 inches (20 cm) thick, which no Wehrmacht cannon could pierce at that time. In addition to the bunkers, anti-personnel and anti-tank barriers were erected and many trenches and ditches were dug. 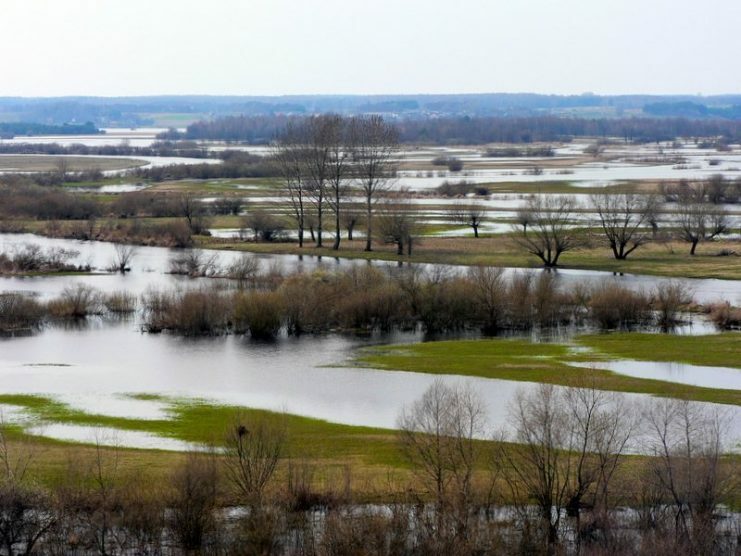 To flood this area in order to create additional difficulties for an adversary, the plan was to destroy the dams on the Narew and Biebrza rivers. However, a record dry summer and low water levels prevented that from happening. Despite their unfinished state, the Polish bunkers were of excellent quality. The fortifications were located on hills, which gave them a large radius of sight and many opportunities for shooting. On September 1, 1939, Germany attacked Poland, thereby unleashing World War II. The German 3rd Army, stationed in East Prussia, advanced in the direction of Warsaw through the positions of the Polish Narew Corps. On September 2, Captain Władysław Raginis took over the command of Wizna’s defense. As a headquarters, he chose the “GG-126” bunker, which was located on a hill near the village of Góra Strękowa in the center of the Polish defense line. Polish forces numbered about 700 enlisted soldiers and 20 officers. Other sources, however, indicate that Polish forces numbered no more than 360 people.Their armament included 6 pieces of 75 mm artillery, 24 heavy machine guns, and 18 light machine guns, as well as two Wz.35 anti-tank rifles. 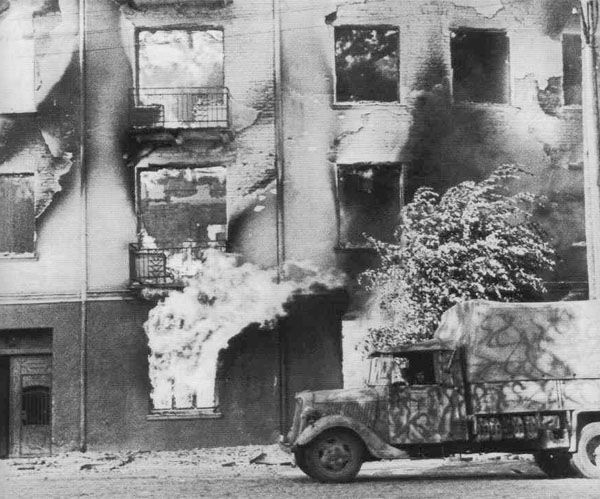 On September 3, Polish troops were attacked from the air, but their own aircraft could not fight back. The Podlaska Cavalry Brigade was operating in the area, but after multiple attacks on its flank on the night of September 4, it received an order to retreat toward Mały Płock and cross the Narew River. On September 7, scouts of General Nikolaus von Falkenhorst’s 10th Panzer Division captured a village near Wizna. Polish scouts from the mountain rifle division suffered losses and were forced to retreat to the southern bank of the Narew. Polish engineers destroyed the only bridge over the Narew, thereby temporarily stopping the Germans. German infantry patrols crossed the river and attempted to advance to Giełczyn, but suffered heavy losses. 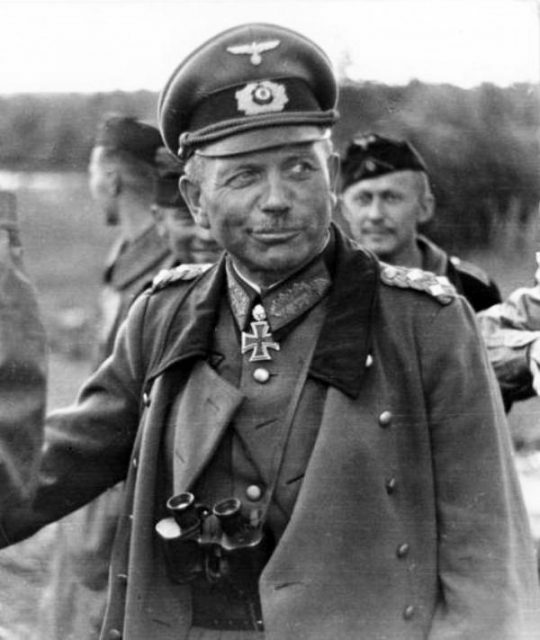 On September 8, German General Heinz Guderian received an order to advance through Wizna towards Brześć. The next morning, his troops invaded the Wizna area and were combined with the “Lötzen” Brigade and 10th Panzer Division. German forces now numbered 42,200 men, at least 350 tanks, 108 howitzers, 188 grenade launchers, 195 anti-tank guns, and nearly 1,000 various machine guns. According to various estimates, there were 40-60 German soldiers per Polish soldier, not to mention far more firepower. After dawn, German planes dropped leaflets that called on Polish soldiers to surrender. In return, they promised to let the Poles live. 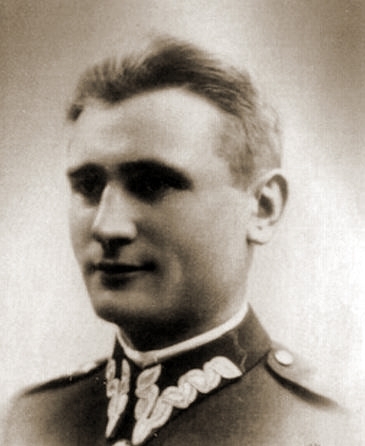 However, Władysław Raginis and Lt. Brykalski refused to surrender and vowed to fight to the death. Soon after, the Germans conducted an aerial and artillery bombardment. The Polish artillery was forced to retreat to Białystok. 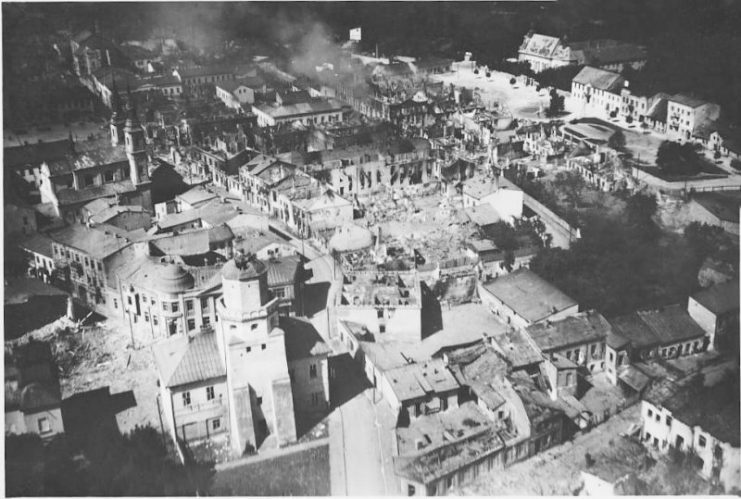 After the bombing, the Germans attacked the northern flank of the Polish troops. Two platoons of Polish troops were attacked from three sides, but the Germans suffered losses. After strong artillery fire, the Polish commander of the Giełczyn area, First Lieutenant Kiewlicz, received an order to burn the wooden bridge over the Narew and retreat to Białystok. 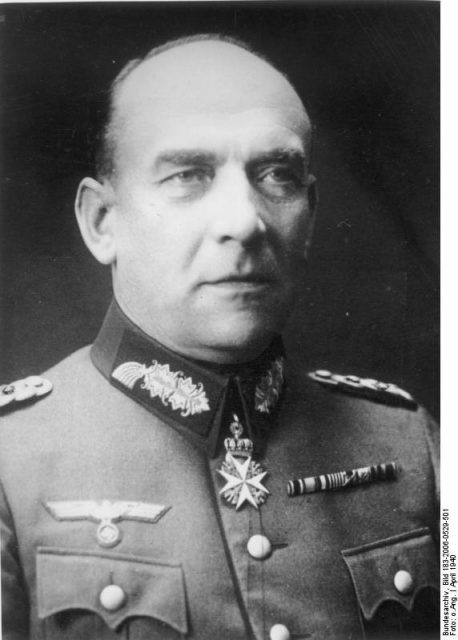 Some of his troops managed to escape from the German encirclement, and joined the forces of General Franciszek Kleeberg in Białystok. At the same time, the southern Polish fortifications were surrounded and could not repel a tank attack. They did not have anti-tank weapons at their disposal but, hiding in the bunkers, the Poles could still fire at enemy infantry. Despite this, by 6:00 PM the Polish troops in the trenches and field fortifications had been forced to retreat to the bunkers. 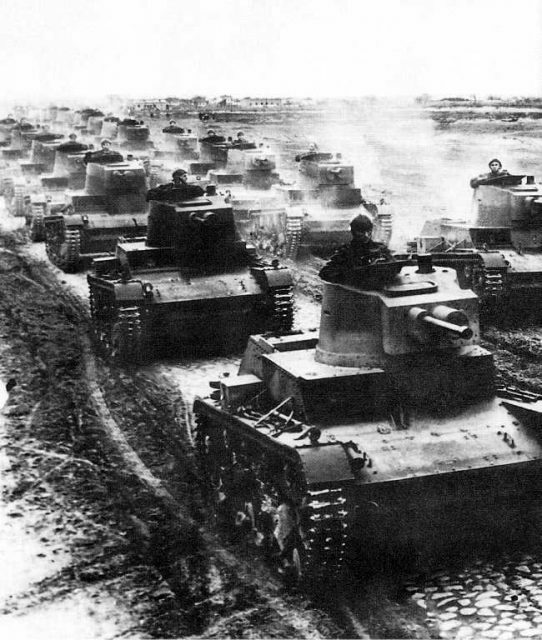 German tanks managed to cross the line of defense and advance to Tykocin and Zambrów. However, the German infantry suffered heavy losses and could not follow the armored units. 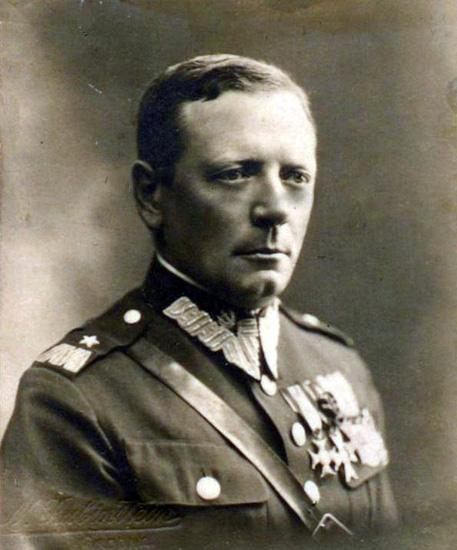 Lt. Col. Tadeusz Tabaczyński was unable to send his troops to the aid of Raginis, although he was less than 19 miles (30 km) away from him in the fortified area of Osowiec. On September 8, Marshal Edward Śmigły-Rydz ordered the 135th Infantry Regiment, which made up the reserves of Wizna and Osowiec, to retreat to Warsaw. By the time this order reached the troops, it was too late. The troops on the Wizna line were surrounded.Assaults on the fortifications around Wizna continued. 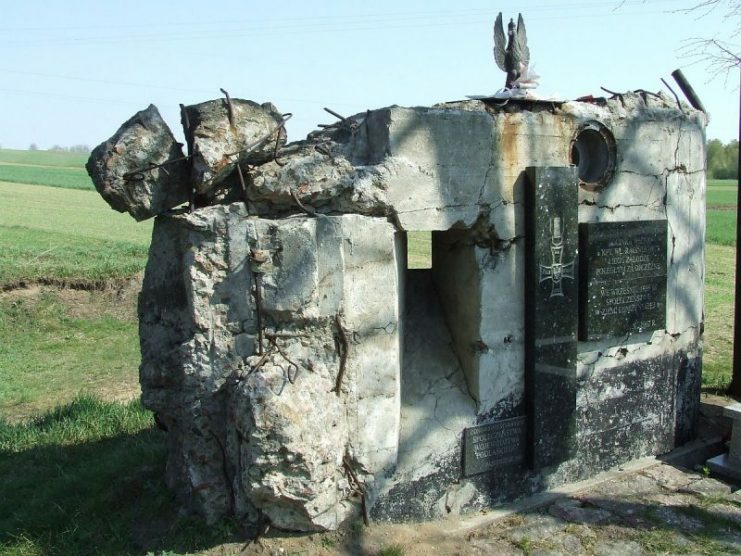 On September 10, German troops using artillery and tanks destroyed all but two of the Polish bunkers. Regardless of the large number of dead and wounded troops, those in the remaining bunkers continued to resist. In order to force the Poles to stop the resistance, Heinz Guderian demanded that Raginis cease-fire and surrender, threatening to shoot prisoners of war otherwise.For a while, resistance continued. Then Raginis, realizing the hopelessness of their position, ordered his soldiers to surrender to the Germans. 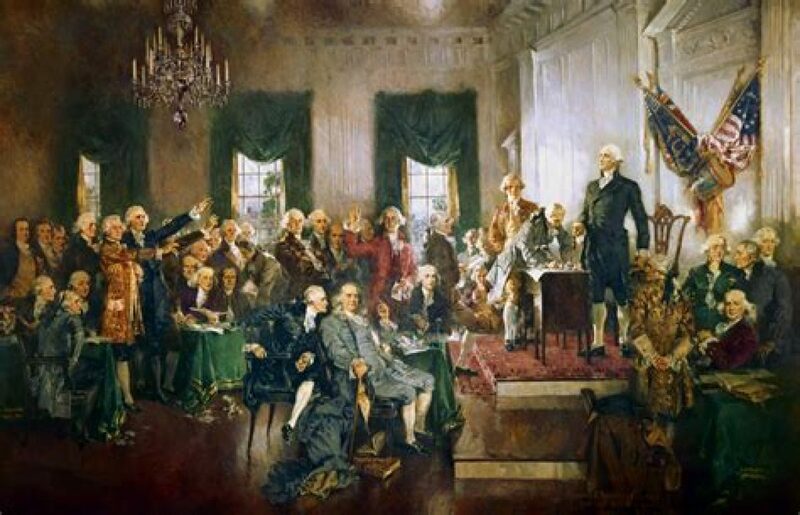 He himself did not change his personal decision not to surrender: instead, he committed suicide by throwing himself on a grenade. The resistance of Raginis’ soldiers slowed the advance of the Germans for three days, but could not prevent the occupation of Poland. Even so, the feat of Raginis’ troops is one of the symbols of Poland’s struggles in World War II. Official Polish losses are unknown. According to various estimates, about 40-70 Polish soldiers survived, some of whom were captured. In his diaries, Guderian estimated German casualties at 900 people, at least 10 tanks, and a number of armored vehicles. The Swedish metal band Sabaton drew inspiration for its song “40:1” from the Battle of Wizna. 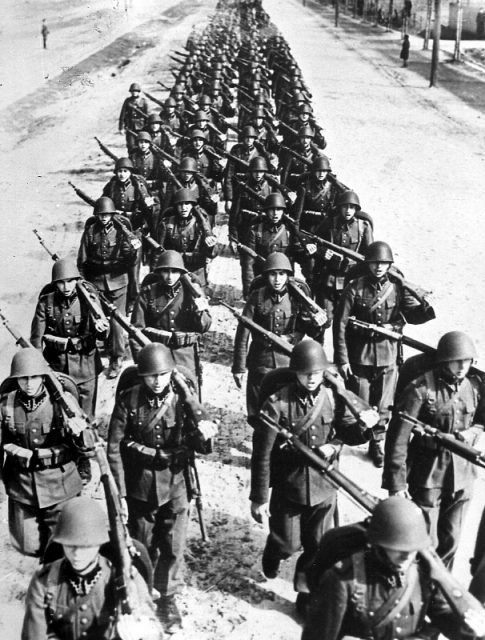 The name of the song shows the ratio of German and Polish troops. The song focuses on the courage of the Polish soldiers, comparing them to the legendary 300 Spartans in the Battle of Thermopylae.